501 Series Wall Snake Cable Tray 6" Wall Snake. Cable Management Solutions' bendable Snake Tray is manufactured from ASTM A510 - High strength steel wire, to form a unique, completely hand bendable cable management system. Welding pre-formed steel hoops to a central 5/16” spin every four inches products Snake Tray, allowing for its unique hand bendable design, while providing easy entry and exit for cable at any point along the length of the tray. The trays are constructed from pre-galvanized wire in accordance with ASTM standards to product a resilient finish, which withstands most indoor applications, or mild sheltered outdoor environments. 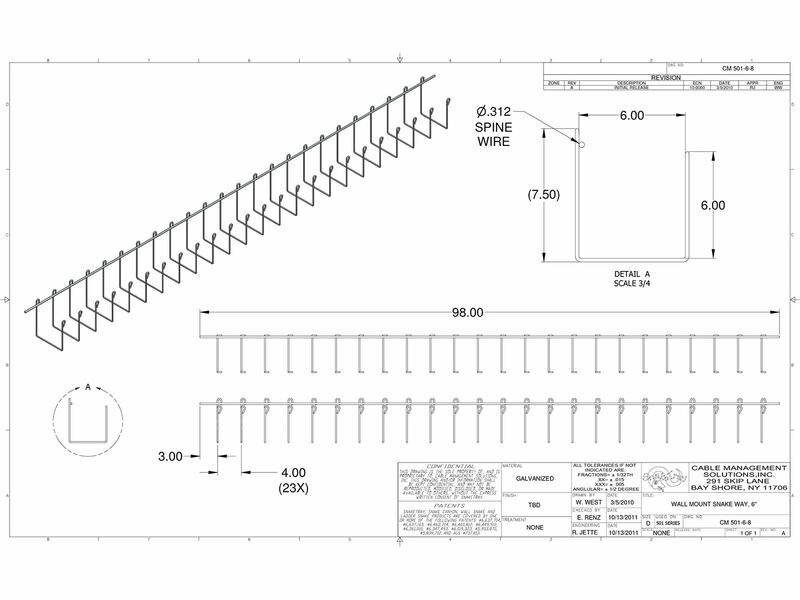 Snake Tray is products in standard eight foot sections and with its unique high density nesting characteristics allow for more tray to be shipped in less space than our competitors, thus reducing shipping costs and on-site storage requirements.The 501 series Wall Snake has been designed with mounting rings or Snake Eyes running vertically along the center spine to allow it to be directly attached to a wall. These mounting rings eliminate the need for additional brackets or hanging hardware to complete the installation. 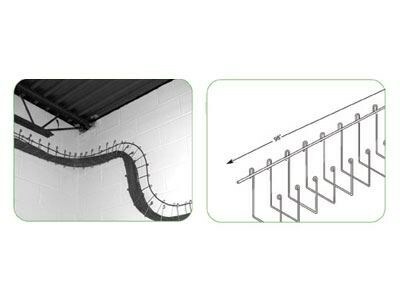 As with all Snake Tray products, the Wall Snake can be bent by hand in any direction along any plane to create a custom fit for any application. Available in four sizes, 4, 9, 25 and 26 square inch pathways, Wall Snake is manufactured from galvanized steel wires in accordance with ASTM A641-89 - General requirements for regular galvanized wire. Wall Snake is the perfect solution for long linear runs along a wall where space is at a premium.